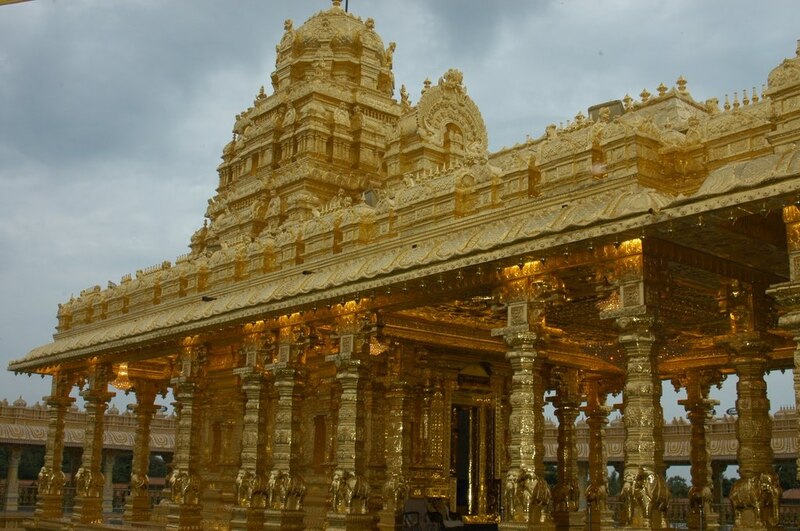 The main Sripuram Golden Temple are covered completely in gold. The Sripuram Golden Temple has nine to fifteen manually prepared layers of gold foil. The Golden Temple is adorned with man-made sculptures, ornately decorated pillars and roof. It is estimated that over 600 Crores of Indian Rupees was spent to construct a true Golden Temple for Goddess Mahalakshmi. The Temple with pure gold covering has intricate carvings and sculptures in gold. Sripuram-Sri Lakshmi Narayani Golden Temple is the largest Golden temple in the world, with over 1.5 tonnes of gold used. The Temple absorbs maximum energy from nature, which creates peace and brings rest to the devotees who walk through the starpath. The ultimate purpose of the Golden Temple is to create righteousness and transformation in human beings. One has to walk along the star path to reach the temple in the middle, which is laid by messages from Sri Sakthi Amma and from different faiths and spirituals leaders. Sripuram Golden Temple is located at the southern end of the city of vellore,at Tirumalaikodi. The temple with gold covering, has intricate work done by artisans specializing in temple art using gold. This temple is dedicated to the Goddess Mahalakshmi. Proper name of this temple is "Sri Lakshmi Narayani Golden Temple"
Sripuram Sri Lakshmi Narayani Golden Temple is the largest Golden Temple in the world, with over 1.5 tonnes of gold used. The famous golden temple is located among the small green mountains in an area malaikodi. Golden temple has complicated statues, created by hundreds of expert gold decorators; those have specialization in temple decoration. The exterior part of gold temple is covered with gold plates and sheets, with made considered to have total cost of about 300 crore. 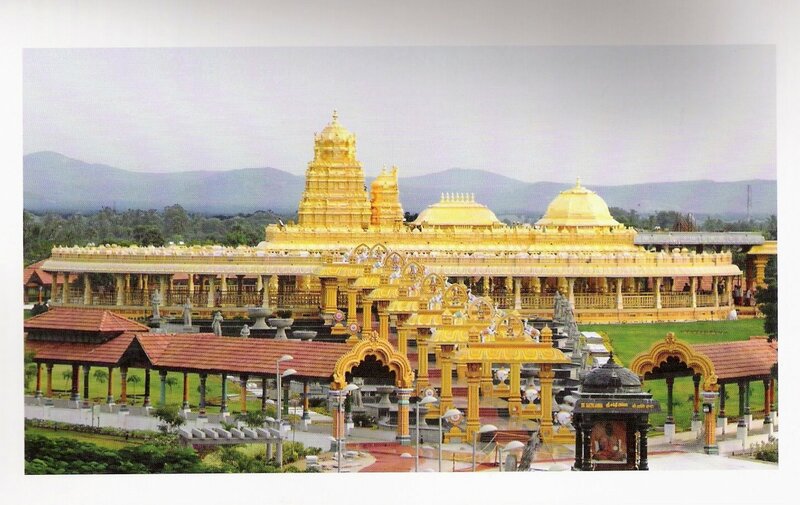 The Sripuram Golden Temple was built in a short span of 7 years.The entire temple was designed by Amma, as conceived through the divine vision. Devotees hail the temple as 'one of the wonders of the world' and say that it is the only temple covered fully with gold. Varaha Murthi Temple,Sri Varaham, Thiruvananthapur..
Sri Singeeswarar temple, Mappedu, Thiruvallur.